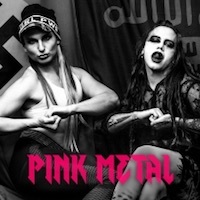 Pink Metal from a trans band that are both politically correct and LGBTQMN and such things. 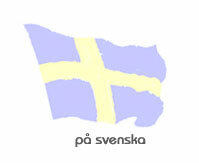 They are also described as a multimedia art collective that are against black metal, and perhaps other things as well. A band that is trans is quite interesting I think, possibly even exciting. And in today’s world when political correctness is to be politically incorrect, it could be fun to hear a politically correct band. Though the song titles don’t really give much hope of that, it feels more like pathetic attempts of being funny and the cover art does nothing to dissuade that impression. And Pink Metal is quite the cliché, wouldn’t you say? But then again most metal is quite the cliché so why not this one? In terms of the music it is quite the uninteresting release, extreme metal with screamy vocals and some spoken word parts that says some ridiculous things. I think they might try to be funny but doesn’t really pull that off, it is mostly ridiculous to me. Just look at the song titles and you know what I mean. The production sounds rather cheap as well, vocals are poor and there isn’t really that much that will make you stop and take notice – nothing at all really. The playing time is quite short with 30 minutes but even that feels on the long side for an album like this and in my view Peosphoros doesn’t really offer anything impressive in any regard. Now, if they really are giving funds created from the album to Syrian refugees and to free Palestine there is at least that positive aspect to it. But to me that isn’t enough, not even close. There isn’t anything to like about this album, it is just pointless and ridiculous – I am not impressed. I find that I’d much rather throw this album in the toilet and flush it down than putting it in my record shelf. And I am quite sure that most of you who read this webzine every now and then look at it in the same way, and that is a bit of a shame because I would have loved to see a strong trans metal band, that would have been something very interesting – but these guys are not it. Keep away is a good advice to anyone considering having a look at this album; perhaps it is the only advice. Sure, some will find these guy’s humour and anecdotes funny, but I think those some will be very few and I am not one of those. Pink Metal is an album one can do very well without, and album of poor quality with poor vocals and bad humour. I see no reason to bother with this album.